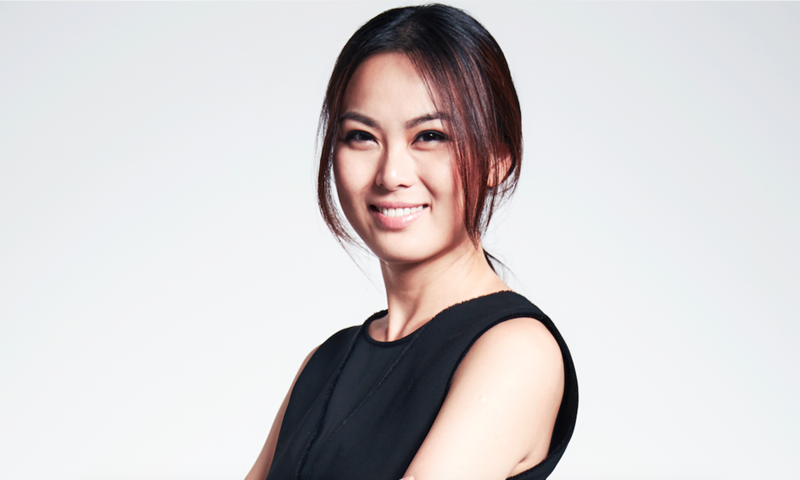 Pauline Ng, Founder & Managing Director at Porcelain, plunged head first into the skincare business at the age of 23. But that did not deter her from managing a team of older employees, expanding the business and developing the brand into an affordable luxury facial experience in the heart of the city. Doyenne: As a young lady boss, how did you communicate with older employees? Pauline: This requires a combination of skills. First, you’d need humility. And with that, a level of respect for the seniority and experience that comes with their age. Tact is important as well. We don’t want to be a pushover. Yet, we want them to buy into our ideas, which sometimes, may differ from what they have in mind. Expressing our opinions with tact is important. I’d never use the card that says, “I’m your boss, you must listen to me”. Finally, knowledge is important. We need to hone our technical knowledge and skills, so we also gain the respect of older employees. D: How do you empower yourself to do the best at work? P: I’m really passionate about what I do. I’ve never really felt that it is work to me. I am constantly learning from people I meet, and my team drives me, because I know they look to me for direction and strategy. I also depend on them to excel at what we set out to achieve. It is a beautiful relationship. Whenever a friend or client leaves a nice review, or tells us how their skin improved because of Porcelain, it motivates me to continue what we do. The occasional pat on the back assures that we are on the right track. D: Porcelain offers facials, medical grade treatments and an in-house skincare line. What’s next? P: We have exciting plans to bring the brand international. We’re also working on version 2.0 of our e-commerce site. 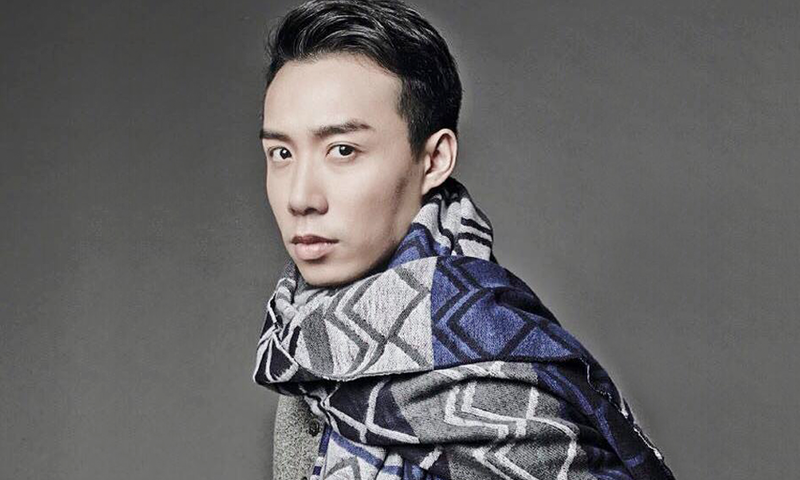 Nicolas Travis, Founder at Allies of Skin, conquered not just Singapore but the world. We dive into this straight talking entrepreneur’s tenacious mindset, to find out how an elegantly potent skincare range can become a hit with global retail stores. Doyenne: Allies of Skin is available at leading global department stores. What were the traits that helped you achieve this? Nicolas: 1. Persistence – I never gave up. I never took NO for an answer. 2. Focus – I focus on things that are in my control. I surrender everything else that is beyond mine. Timing is everything. 3. Faith – I believe in my products. I let them do the talking. D: How did you convince international audiences that a young Singapore beauty brand is more effective than a heritage European beauty brand? N: We had products that no one has seen before, like the world’s first day mask and an anti-evaporation mist. Our strict non-toxic formulation ethos ensures that products actually do what they say they will. After that, it is about getting the products in the right hands and in the right doors. D: At an international level, what is the appeal of a gender-neutral beauty brand? N: At the end of the day, people want products that work. They work hard for their money. They want products to work hard for them. Our design-focused ethos means that, we concentrate efforts on communicating our value proposition through formulas, not useless gender labels. D: What do you always do to make sure you give your best at work? N: 1. I believe in regular facials as a necessary indulgence. 2. Exercise keeps me sane and focused. 3. Meditation provides clarity and keeps my head in the game. 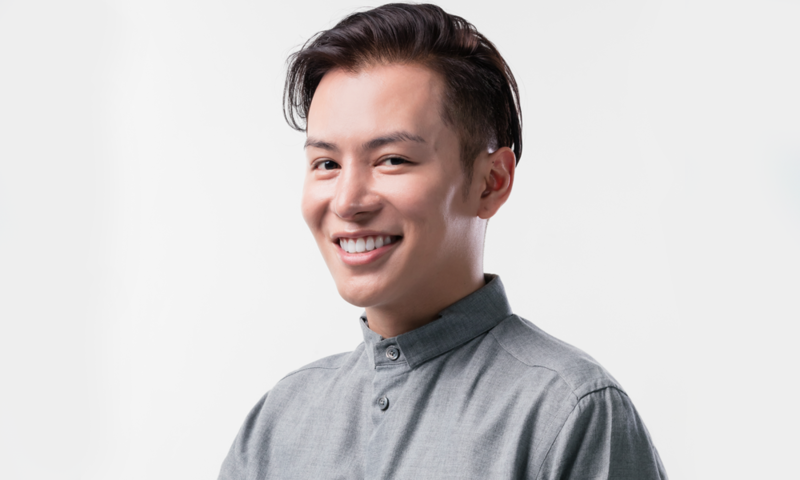 Joel Tan, Founder at BBOUNCE Studio, is a fitness enthusiast. Nutrition, health and fitness all come together at Singapore’s first rebounding fitness studio. With groovy music, members get to lose weight, have fun and sweat out the bad stuff. Doyenne: These popular song tracks that play on repeat at BBOUNCE - what must they have to give members a good sweat? Joel: Each song track must be of a certain beat per minute. It should also be a song that everyone can sing along! At BBOUNCE, it takes months to create that perfect playlist. Based on themes, each selection is done through multiple trials and rehearsals. D: The human body is in perfect condition when health and fitness are well-balanced. How to achieve this? J: Nutrition is the most important key to leading a healthy and rewarding lifestyle. At BBOUNCE, I always advocate a well-balanced diet, and educate members on basic nutrition and diet plans. We need food to repair our body, give us energy and protect us against diseases. A balanced diet will allow one to lead a healthy lifestyle. It is that simple. However, once there is imbalance, like overeating and eating too much of one thing, that’s where imbalances come and shake up our entire body ecosystem. J: Is challenging but rewarding. Singapore’s market is easy to enter. But it will punish you if you don’t provide the right products and services. We will be opening our third and biggest outlet in 2018, so look out for it! Dr Georgia Lee, Founder at Dr GL Skincare, is the sedulous doyenne of Singapore’s aesthetics industry. Also a fashion icon, she is precise, laser focused and spot on about curating a line of beauty products and services under her namesake brand. Doyenne: Tell us about your love for fashion. Georgia: I love fashion as a consumer. Over the years, I have become a little more learned about the finer details of fashion from my friends in the trade. I am heartened that brands like Gucci, Bottega and Givenchy have started curating quality influencers for their brands. Echoing what I have always believed, it is not the number of followers that matters. More or less, I have also stopped attending fashion shows. Most have lost their magic as they focus more on cultivating media posts, while paying clients become somewhat neglected. Prada is one of the first few brands to change that recently. In keeping up with fashion, I believe one must not forget its core and philosophy. As a consumer, I have been watching on the side as brands become “trend victims”. I am still keeping my eyes open to see what pans out for the fashion industry. D: You are notoriously well-known for staying laser focused. How do you achieve this? G: I function like a clock work and am regimental when it comes to my work days because in my line of work, we want predictability as much as possible. Continuous curiosity is another important trait. Over time, experience is required to discover the benefits of the same laser device’s different wavelengths. As an aesthetician, we have to look out for many variables in any laser treatment. Like the patient’s skin, which varies day to day, the environment, their stress levels, time of the month, medications, and the hand that holds the laser handpiece. Being receptive to patient’s feedback is also important. There is so much to learn from their feedback. There is always that bell curve in response to any treatment, no matter how predictable the laser results may be. D: Dr GL products are available in travel sizes. How does a fail-safe, precise beauty regime for travellers look like? G: I believe in keeping life simple and doing what’s necessary. Skincare should be simple. When all the frills are stripped, the goal is, simply, good skin. DrGL® Cleanser Sensitive removes makeup, sunblock and grimes of travel. It also doubles up as a soap free cleanser to accommodate sensitive skin which travellers may be prone to. DrGL® Post Cleanser is an easy magic wipe I personally swear by to keep my skin glowing. DrGL® Sun Protection Anti-Aging doubles up as a moisturiser and sun protection. I use this for my face and whole body to keep my travel packing regime simple. DrGL® Skin Supplement Glow helps keep skin and body supplementation in check. D: What’s next for Dr GL? One should not lose focus. We have two new markets penned down for 2018. Keeping ourselves grounded, we will also create new products based on learned science from our advisory panel’s curated background.